Plants short-stemmed, commonly suckering, without rhizomes, trunks 0.4-1 m; rosettes not cespitose, 12-14 × 20-30 dm. Leaves erect or recurving, 110-160 × 12-18 cm; blade green or grayish green or yellowish green, not cross-zoned, lanceolate, pliable, adaxially concave or guttered at least toward apex, abaxially slightly convex; margins straight, finely fibrous, minutely armed only near base or teeth absent, teeth single prickles, 1-2 mm, less than 1 cm apart; apical spine brown to grayish, subulate, 3-4.5 cm. Scape 6.5-8 m. Inflorescences paniculate, open, sometimes bulbiferous; bracts persistent, triangular, 0.5-2 cm; lateral branches 15-25, horizontal to slightly ascending, comprising distal 1/3-1/2 of inflorescence, longer than 10 cm. Flowers 15-27 per cluster, erect, 7-8 cm; perianth yellow, tube urceolate, 15-20 × 14-19 mm, limb lobes erect, subequal, 20-24 mm; stamens long-exserted; filaments inserted ca. mid perianth tube, erect, yellow to yellow-green, 5.5-6 cm; anthers yellow, 30-31 mm; ovary 3.3-4 cm, neck unconstricted, 2-4 mm. Capsules short-pedicellate, oblong, 5.5 cm, apex beaked. Seeds unknown. Flowering late spring--early summer. Sandy places with grasses and low shrubs; 100--300 m; introduced; Tex. ; ne and c Mexico. Agave weberi is locally naturalized in southern Texas. 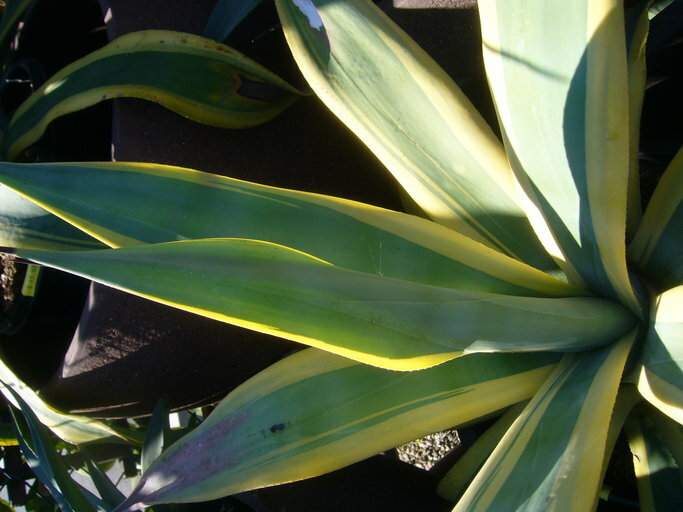 It is frequently cultivated elsewhere for its ornamental value, pulque, and fiber.